There are several ways to start a profitable and exciting business by creating a website or blog that allows you to generate income from affiliate sales, advertising revenue, and even your own product sales. Before you learn how to create a blog, we are going to discuss how to choose a website or blog niche that interests yourself as well as your target audience. You need to take a multitude of factors into consideration when you are deciding on a niche to create your new website around. Not only do you have to consider the revenue opportunities, but you also need to make sure that there is a large interest in your topic and that you personally have extensive knowledge in regards to the subject. Tip: Avoid picking a niche that is a fad or something that doesn’t have long-term appeal. A niche that is likely to disappear or become outdated in a couple of years isn’t a good strategic choice, as you want a topic that you can continue to grow because there will always be an interest in it. Make sure to select an evergreen niche – one that will always be relevant. The competition is also something that you are going to want to look into. Will you be able to create information that will set your website apart form the competition? Are you confident that you can create content that is more informative and useful? Is there long-term potential with this topic? Will there still be interest several years from now? It is important that the topic you select has a long shelf life. A fad or pop culture craze isn’t going to be a smart choice because the interest will eventually shift to the new hot topic, leaving you with a website about a topic that nobody is talking about or interested in any longer. All of your hard work will go to waste when it is no longer relevant, forcing you to start over. A very specific topic, like a particular music artist that is popular at the moment isn’t a smart choice, but if you are passionate and knowledgeable about music then a topic such as pop music would be fine. It is something that will always be relevant as a general topic. While pop musicians will come and go, the music genre in general will always be popular. How much competition is there for this topic in terms of other websites and blogs? Is there a large social media presence and offline media attention? Let’s take the topic of “World News” as an example. There is a huge amount of competition and a simple search on Google will bring up major TV network websites and huge online media outlets. It would be near impossible to gain the exposure you would need to become competitive in this topic. If news is really something you would enjoy writing about pick a much more specific topic. For instance, if you have a passion about politics you could create a blog that focuses on political news reporting and report on political issues that you felt were the most useful and informative. You could even get more specific and create a site based around a particular political party. How large is the audience for this particular topic? Is it regional, countrywide, or worldwide? The larger your audience, the more visitors you can potentially attract to your website. Generally, your monetization potential increases as your website visitors increases so naturally you are going to want to choose a topic that has a large audience. If your topic has a worldwide audience it can be a smaller niche because you have the opportunity to attract traffic from all over the world. 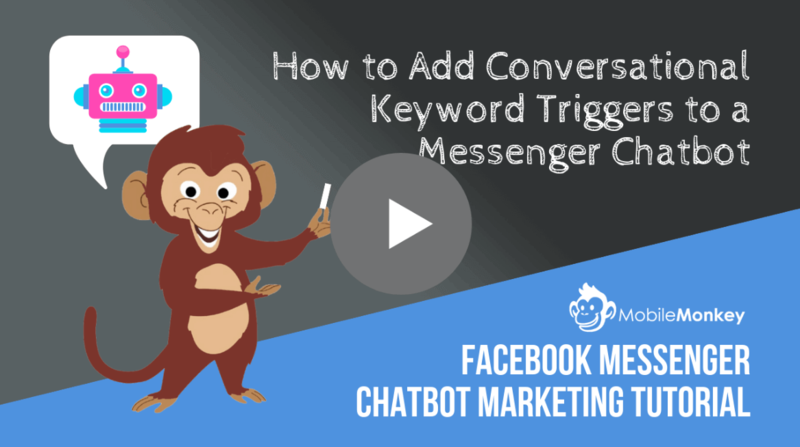 You will have to use some common sense with this part, but you can also take a look at some social media accounts to see how big of an audience a particular topic can attract. 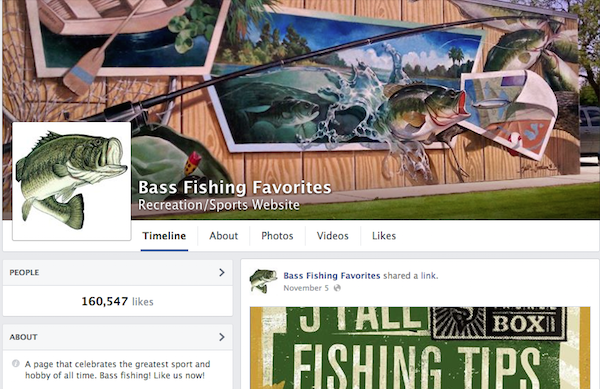 For example, if you were thinking about creating a blog about bass fishing you would Google “bass fishing Facebook” and see what results came up. Just to show you how much potential even random topics have, take a look at the first result. There are over 160,000 likes on this one page, with plenty more, signaling that this is a topic with plenty of potential. How will you reach this target audience and let them know that your site exists? Creating a great website about a topic that people are interested in is great, but how are you going to get these people to even know that your site exists? Since you will most likely be working with a limited budget in the beginning you will need to focus on free traffic sources. Is your target audience for this topic active on social media? Are there large social media profiles that you can become active on, introducing their audience to your blog? Another great source of free referral traffic are forums. Are there any active forums within the same niche that you could participate on? How about other blogs in the same nice? Are there any blogs with active comment sections that would allow you to interact with that community and include a link to your website in your profile? It will take a lot of work in the beginning to build up your user base, but once you have a loyal following they will help you introduce new visitors by sharing your content on social media. Who is your target audience? Are they likely to visit a website and read your blog on a regular basis? Almost everyone is connected to the Internet these days, but there are still going to be some topics that just aren’t going to have a large online audience. Enter your potential topics into the Google search bar and see how many results come up. If there is an obviously low number of results returned then it probably isn’t a good choice. You want to attract a large number of people that are genuinely excited about your topic, so if there is very little online interest you should immediately cross that topic off your list. Is the topic broad enough that you will be able to create quality content on a regular basis? In order to keep your audience entertained and coming back for more you are going to have to publish fresh content on a consistent basis. In the beginning your traffic and readership will be low, so you will not have to add content as frequently. Once your traffic numbers increase and your blog becomes more popular you are going to have people that visit daily, even multiple times daily. You are going to want to make sure that they never have a reason to start visiting a competing website. Make sure that there are enough subject matters to build a lot of different content around without it sounding repetitive and also be certain that you are passionate enough about the topic to write about it around the clock. If you are not 100% into it your content will reflect that. What can you do differently from other websites in the same niche to attract a large percentage of the readership? 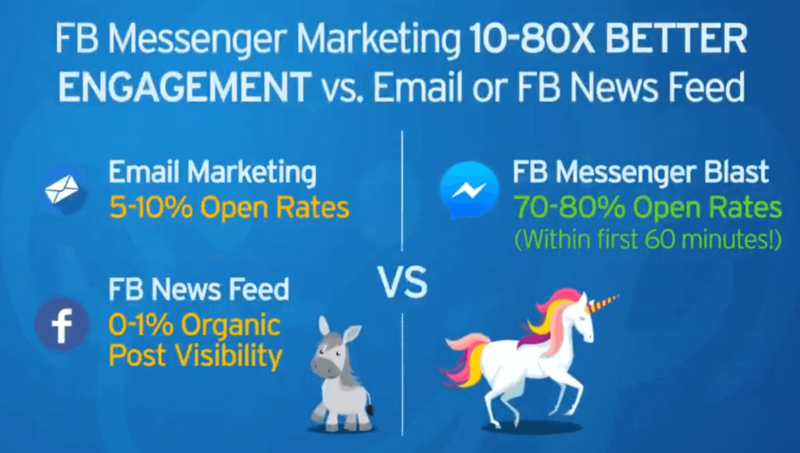 Think about what kind of USP (unique selling point) you can leverage to attract people to your site. Is there something that you can provide that the other sites in the same niche aren’t currently providing? Is there a free giveaway that will make your blog stand out? Could you offer video content on your blog to grab a large percentage of the market share? If you can’t quickly identify something that would make you stand out from the other sites it is time to move onto the next topic idea. Immediately cross off any topics from your list that you couldn’t fully answer the above questions for. The topics that remain are all viable choices, so you will need to select the one that you are the most passionate about, as the success of your website has a lot to do with your motivation and genuine interest in your niche. Need Some Help Thinking of Topics? Try These Tips! Several successful websites and blogs started out by accident. They were started as a way to blog and discuss a subject that was of interest and over time it developed into more of a business than a hobby. There are blogs and websites dedicated to virtually every single topic imaginable and if there is a large enough audience interested in the topic it can become very popular. Hobby and interest blogs become popular because the readers find the information presented to be very useful and helpful. This is a website that was created by Andreas, someone passionate about both blogging and cycling. He turned his hobby into a successful blog that makes revenue by offering advertising space and from affiliate sales through Amazon and Wiggle. The blog has a strong following, as evident by its 13,000 Facebook fans. Because of the popularity and success of the blog he was able to also launch several cycling mobile apps. Instead of a particular topic, many successful websites follow the journey of its creator. Some of them cover serious issues, such as health and overcoming obstacles in life, while some are more lighthearted and provide entertainment. There are successful mummy blogs, business journeys, as well as topics ranging from every day events like attending University or planning a wedding. These sites will typically create a very loyal following that become so interested in the personal journey that they visit often to stay updated. 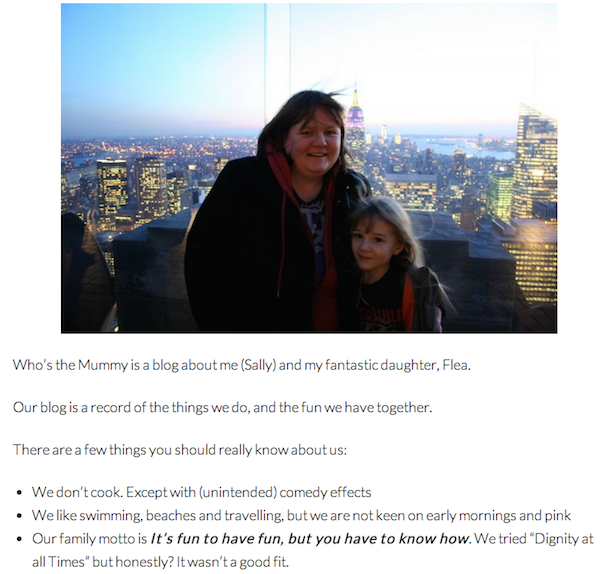 This is the top mummy blog in the UK, and it was started by Sally as a way to record her adventure with her daughter, Flea. She wanted to blog about the fun times she shared with her daughter and it developed into the top mummy blog, winning several awards and she even receives offers for free trips to some amazing places in exchange for writing a review about her experience on the blog. Her audience is so large that these companies see a huge value in providing her with complimentary trips! Another potential topic is one that covers an entire industry. For example, you could start a blog about consumer finance that would cover a wide range of topics from personal credit tips to how to secure the best car loan rate. By reading up on the news and trends within the industry you could then report on breaking news and expand on topics that you felt would benefit your audience. In order to be successful you will have to have a lot of knowledge on the topic and be able to produce content in a way that isn’t readily available on other websites. 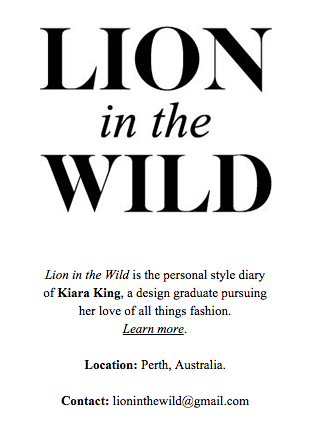 Kiara King is an expert stylist, so she created a blog that serves as a personal style diary where she blogs about all things fashion. While the blog is more of a look into her personal fashion taste, she also blogs about fashion trends and new styles. She is building a very strong following and a very strong personal brand for herself. The health, fitness and wellness industry is booming. The average consumer is much more conscious about what they eat and maintaining a fit lifestyle. There is such a wide range of available topics, from eating healthy to eating a strictly raw and vegan diet. Then, there are all of the different training and fitness disciplines as well. There is Men’s fitness, Women’s fitness, specific training disciplines, etc. Every topic has an almost endless amount of possible sub-topics that you can explore as well. 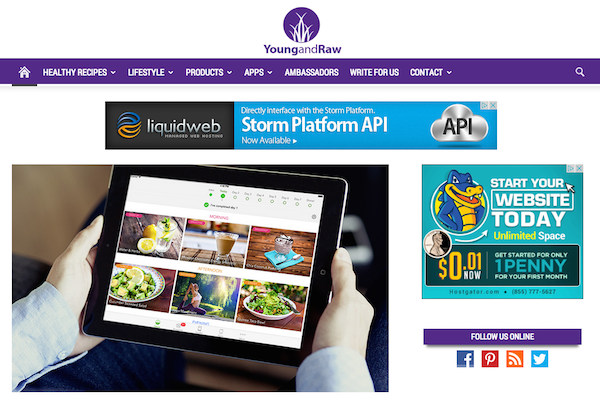 Young and Raw is a very powerful website that focuses on healthy recipes and a healthy lifestyle. It has a heavy readership, with all of their blog posts receiving thousands of views and social shares. For instance, there is a post about healthy uses for apple cider vinegar that has received over 25,000 social shares alone. This website monetizes its traffic with Google AdSense as well as direct advertising. The travel industry is another topic with wide open possibilities. You can focus on specific destinations or even parts of the world. You could get even more precise by creating a site around honeymoon travel destination, bachelor party travel destinations, anniversary hot spots, or even travel for a specific age or demographic such as senior citizens or singles in their 30’s. As mentioned before, each topic has endless possibilities. Your decision should always be based on a combination of personal experience as well as interest in the topic. 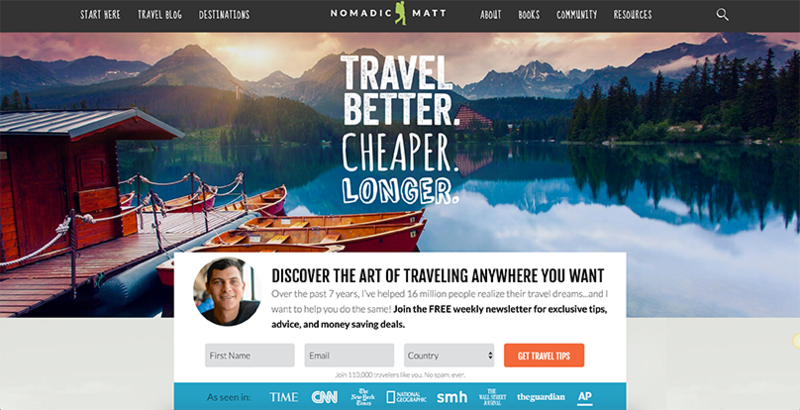 Nomadic Matt was an average American who at the age of 23 discovered the wonders of travel. It was a life-changing idea to him that you can quit your job and travel the world full-time. That’s what he did, he quit his 9-5 and traveled the world. Now he has one of the most popular travel blogs ever, where he’s looking to show others how to do the same. Matt has also written a book, titled “How to Travel the World on $50 a Day”. It is important that you are an expert when it comes to your chosen topic. If you publish content that is very basic and only caters to a beginner level of expertise you will have a hard time retaining your readership. If they are already familiar with the information your website provides they are not going to have a reason to come back. If you are not an expert on a given topic then it is a good idea to pass on it and instead focus on something that you know inside and out. Enthusiasm and interest in a topic is great, but without the expertise you are going to have a difficult time creating a website that is successful and profitable. Selecting a website or blog topic that has little competition is exciting, and highly recommended for your first site. You will be able to see results much sooner, and for your first venture into online business you want to be able to see the light at the end of the tunnel sooner than later. Your first website is going to teach you so many things that you can then utilize down the road as you expand your online business portfolio and add more websites. Remember, online success doesn’t happen overnight. It requires hard work and dedication, but once you figure it out it can develop into a lucrative full-time income source. Start small, learn from your mistakes, and fuel your drive with passion – and you will find success online.